Nature’s Sunshine DHA supports the health of the nervous system. Docosahexaenoic acid, or DHA for short, is an omega-3 essential fatty acid. Working on the cellular level, it is absorbed into a cell’s fatty perimeter. 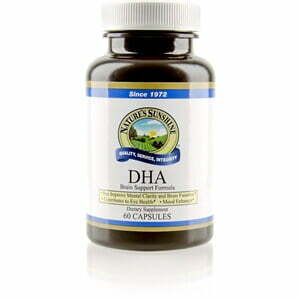 DHA is vital for brain function and development and works to protect neural tissues. This essential fatty acid also supports retinal function. 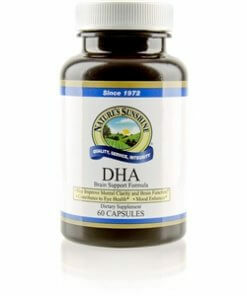 Nature’s Sunshine DHA comes in capsules with 250 mg of DHA and 50 mpg of EPA. The formula is blended with a base of fish oil and natural lemon oil. Natural lemon oil, gelatin, glycerin, natural caramel color (for light resistance), and water.